But the common stock market is not beyond him. An eternal optimist, James came during the depths of the last crisis in 2009 to predict a fantastic run for the coming years, which has materialized in the second-longest bull run in history. He recently sat down with The Epoch Times to discuss why the stock market boom can continue for another couple of years and break records. The Epoch Times: Why do you see markets rising even further? 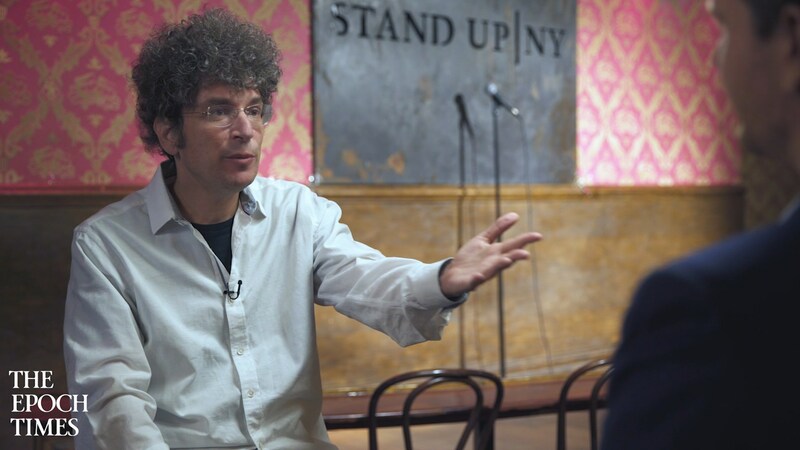 James Altucher: [The markets are] at all-time highs right now. But several things have happened recently, and I am very optimistic about the market in the near term. Very, very optimistic. Companies that have profits earned abroad, cash abroad, should be able to bring that money back to the United States and get a discount on the taxes they would actually owe. You didn’t get rewarded for bringing that money back into the United States before. So the recent tax reform allows for the repatriation of that money to happen this year. That’s going to add hundreds of billions of dollars of cash, maybe even a trillion dollars of cash, into the economy. Considering that GDP is around $20 trillion in the United States, if the money is spent or invested, this could be a huge, huge bump to GDP. That’s going to just send company profits through the roof. What will they do with those profits? Well, for tax purposes, they’re going to return them to shareholders, they’re going to give dividends, or they’re going to buy back stock, and it’s just going to drive up the stock market to incredible levels. I think the Dow can hit 40,000 or 50,000 at the end of 2019. The other thing is that Congress deregulated thousands of thousands of community banks and local banks and my guess is they’re going to hit the big banks as well. Again, [in the] long term that might be a bad thing, but short-term, what does it mean? The Epoch Times: Please explain. Mr. Altucher: It means all these community banks are going to be able to loan many more people money to buy houses or anything else, for that matter. So that just creates more money in the economy. Most people don’t even know all these banks were deregulated. It was just a small line. And a bill that adds $100 billion to the economy is really like a trillion dollars added to the economy. So what if the GDP went up 5 percent or 10 percent instead of 2 percent? Again, profits for companies are going to be enormous, and the boom in the stock market is going to be incredible. And when stocks go up so much, companies start buying other companies using their own shares. Amazon is a $900 billion company, and maybe Amazon buys your company, now you have more wealth. Now again, you buy a house and this and that and so on. So it’s this boom cycle that goes on and on. Now pessimistically, that boom can only go on for so long and then there’s the inevitable bust that happens always in the stock market every decade, but for the next year or two, things are looking good. Why did Trump do all this? Well, he wants to get re-elected in 2020. So until then, we are in that sweet spot where the stock market is just going to go up. From 1998 to 2000 was a sweet spot. The stock market went up huge from 2006 to 2008. I mean, the stock market was booming, it reached the high in November 2007 before the housing crisis started to kick in. There’s no real crisis like that in the short term happening. I’ve never seen anything like this, by the way. I’ve never seen this much-calculated effort to get trillions of dollars thrust into the economy just before an election. But with Bill Clinton, he saw that the internet sales were a huge trend upwards, so he said no tax on internet sales. And so that was a boom in the economy. In 2006, there was more and more deregulation of banks combined with more and more financial derivatives, and with mortgages, they created this huge influx of money. Now, they miscalculated and the crash happened in 2008. But there’s not the same kind of financial innovation happening right now. Financial innovation has much more opportunity for greed and risk. So what’s happening now is not necessarily financial innovation. It’s just, “Hey, here’s a trillion dollars, go have fun.” So that’s different than straightforward financial innovation. That’s what’s happening now.